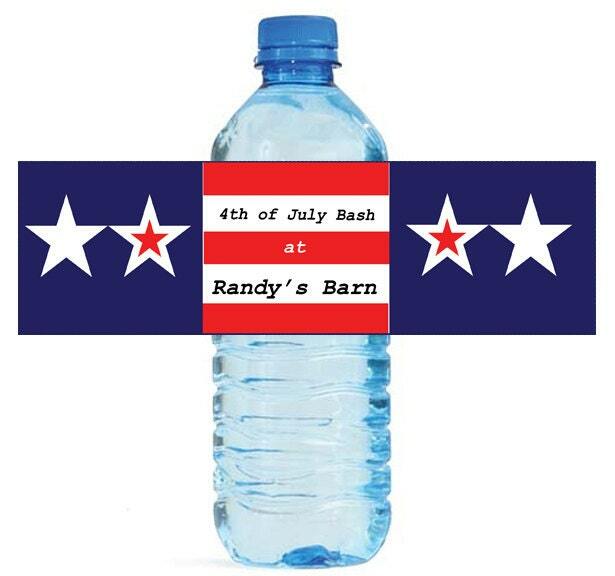 100 4th of July Independance Day Bash Water Bottle Labels Great for Party Get together 7"x2"
Great looking Damask Custom Water Bottle Labels, measure 7"x2". These labels are self stick, and easily stick to your water bottles. Our labels are laser printed and will not run or smear. Once you have ordered, I will just need the Name you would like to appear and the date that you would like to appear, and any other information.